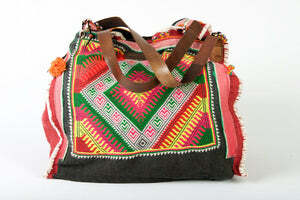 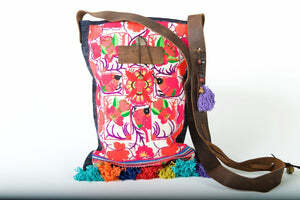 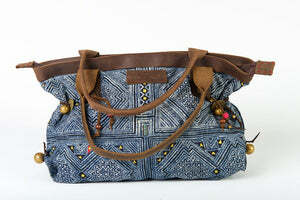 You are going to fall in love with the Gypsy Purse!! 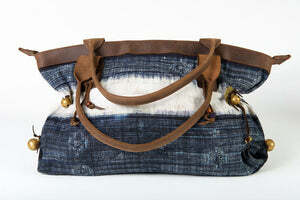 Perfectly fitting your phone, wallet and keys for the carefree spirit on the move. 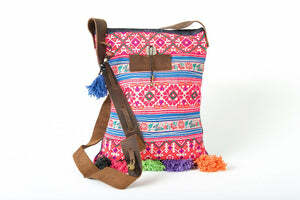 A travellers dream fitting your passport and essentials! 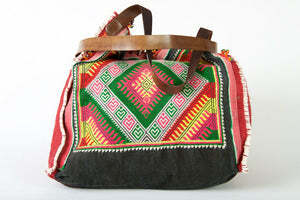 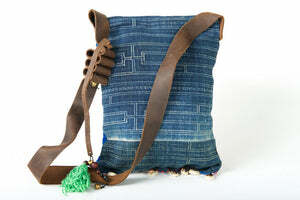 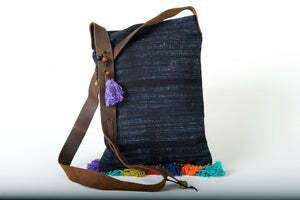 Combining the stunning duo of leather and vintage Hmong fabric this little on-of-a-kind gem will be your go-to clutch. 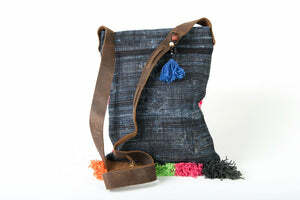 The leather wrist strap makes carrying your purse with cotton lining a breeze and the flower zipper will brighten your day! 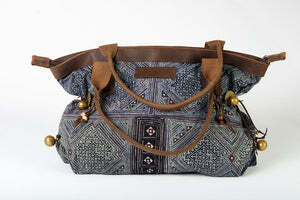 Including an internal zipper for separating your items the Gypsy will have you organised and out the door without fuss. 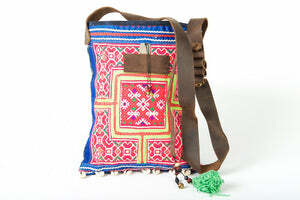 No more rummaging through a handbag for your keys, this beauty compartmentalises your everyday essentials effortlessly. 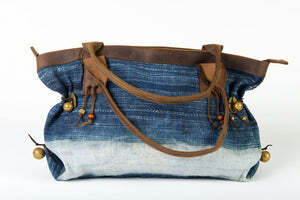 So, without further ado and after great demand for the perfectly sized clutch, here she is - the Gypsy Purse.